It is with great pleasure that we introduce our new Tourism and Events Officer, Steph Shearing, who joined us on June 18th, and has been recruited to help develop and grow Bradford on Avon’s reach as both a tourist destination and a place to enjoy for residents. We’re delighted to welcome Steph to the BOA Town Council team. She brings with her a wealth of experience, and we’re sure she will make a hugely positive contribution to the town. 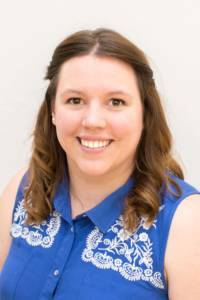 Working in closely with Councillors on our Town Development Committee, Steph will be implementing a Tourism strategy which aims to put our Town on more people’s radars; letting them know where we are, how to get here, and what they can enjoy once they arrive. She’ll also be developing strong working relationships with various tourist industry partners. Part of the work will be done in conjunction with the also fairly recently installed Communications Manager, Lydia Booth; developing a new Tourism website and engaging people further afield via social media feeds. Building an identity, online presence and followers on these platforms will be the first steps. It has been lovely to meet Steph and we look forward to having excellent professional support for our events! Steph has a lot to get stuck into over the next few weeks, having filled a post which has been vacant since New Year, and is now putting final touches a new Tourism Strategy in part developed by Councillors over the past few months. Watch this space for news on resulting projects in the future!